The successive Trungpa incarnations of Surmang Monastery of Eastern Tibet were important lineage holders of the Kagyud Order of Tibetan Buddhism. 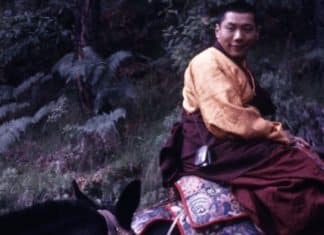 Vidyadhara Chökyi Gyatsho (Chögyam), the Eleventh Trungpa Rinpoche, spent his youth imbibing the nectar of wisdom from his root-teachers, mainly Jamgon Kongtrul Rinpoche, Khenpo Gangshar, and Dilgo Khyentse Rinpoche–all from Shechen Monastery. Soon, he shone as a great lineage holder of both Kagyud and Nyingma teachings. One of his main personal practices was the Longchen Nyingthig, a cycle of teachings discovered by Rigdzin Jigme Lingpa as a terma. Many of Trungpa Rinpoche’s sacred instructions to his many heart-disciples were also based on these teachings. As I myself am a student of Longchen Nyingthig teachings, I feel a sense of special affinity for Rinpoche’s lineage. Vidyadhara Trungpa Rinpoche was a pioneering torchbearer and a skilful groundbreaker of Tibetan Buddhism in the West. Even though over twenty years have swiftly passed since his parinirvana, his enlightening words and vision continue to inspire so many to the Dharma, keep people’s true spiritual sanity intact, and will surely continue to nourish many in centuries to come. 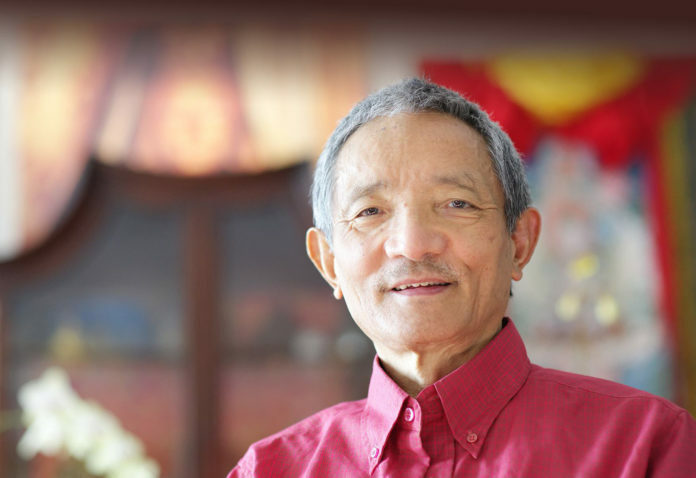 For many years now, I have been enjoying the great privilege of visiting and sharing Buddhist teachings with many of Rinpoche’s students at a number of Shambhala Centers. I am so delighted to say that they are preserving his enlightened vision and making great progress in various fields under the supreme guidance of Sakyong Mipham Rinpoche. This is the greatest service to the Dharma and a true offering of thanks to the Vidyadhara.